Bucks® Fabricating manufacturers Dump Bodies for your truck and trailer systems. With a variety of features and options, Bucks® Fabricating will find the right Dump Body for your companies needs. 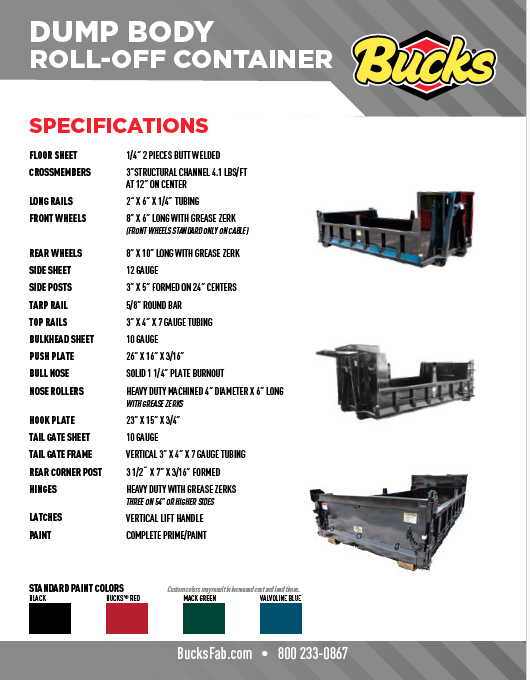 Whether you are hauling light mulch and sand, heavy gravel and stone, or a little bit of everything, the Bucks® team will work with you build a dump body with the specs you need. Contact us to the Dump Body your business requires. We have a variety of bulkhead heights and options to choose from.